Pen and brown ink, and brown wash, over black chalk on paper. 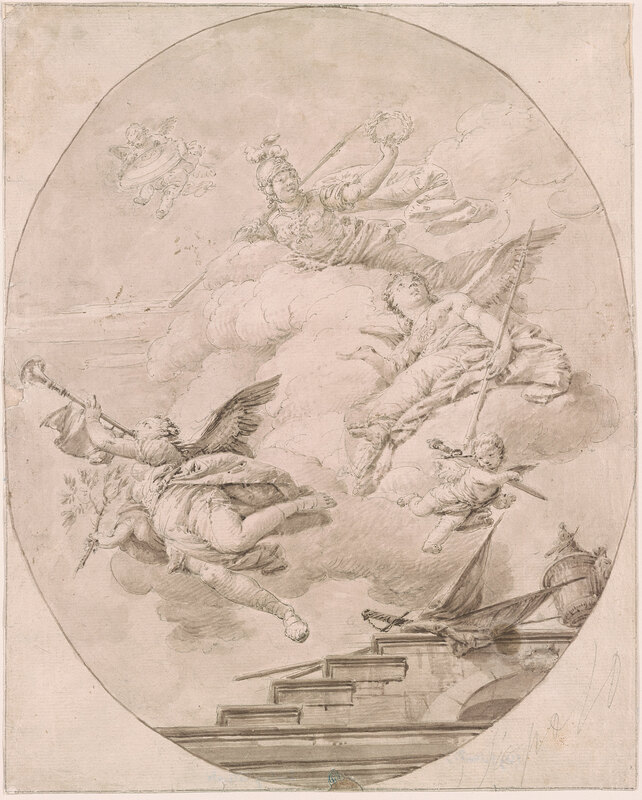 Inscribed in pencil at lower right, J. Tiepolo; on verso in pencil at upper left, No. 16; in red chalk at top right, E 699; in pencil at lower left, Lugt No. 1223 in purple crayon, (Slg. Vallardi); in pencil, J. B. Tiepolo (? ); in purple crayon at right of center, Sammlung Vallardi. Giuseppe Vallardi, Milan (L. 1223); Frères Vallardi (Pietro Giuseppe and Francesco Santo), Milan (L. 2477); Philip Son & Neale, London, until 1961; purchased from P & D Colnaghi & Co. Ltd., London. Watermark: FV surmounted by a crown.